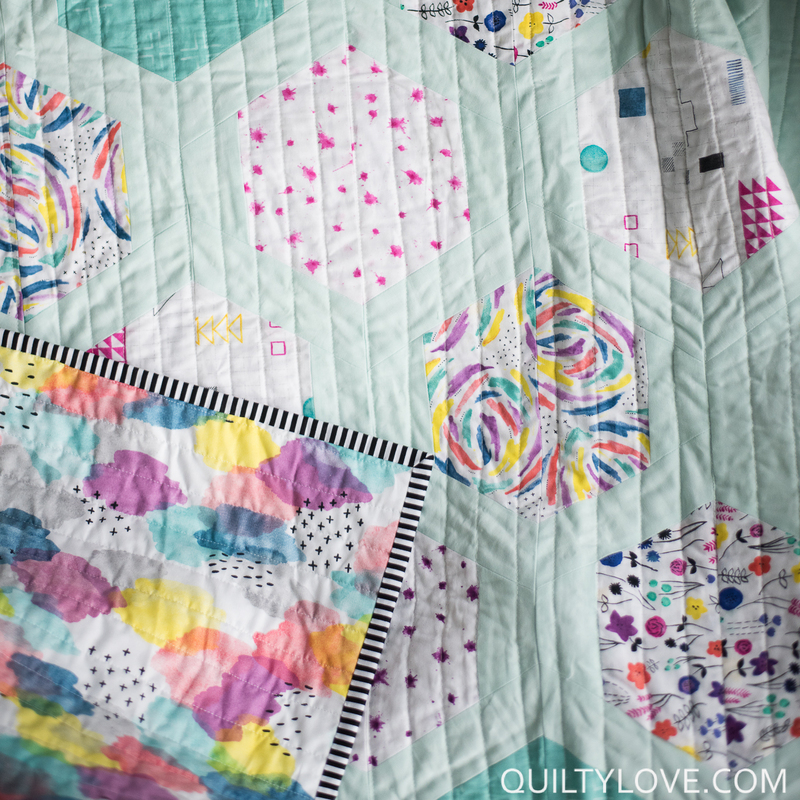 Today’s quilt post is one I’m excited to share with you all. 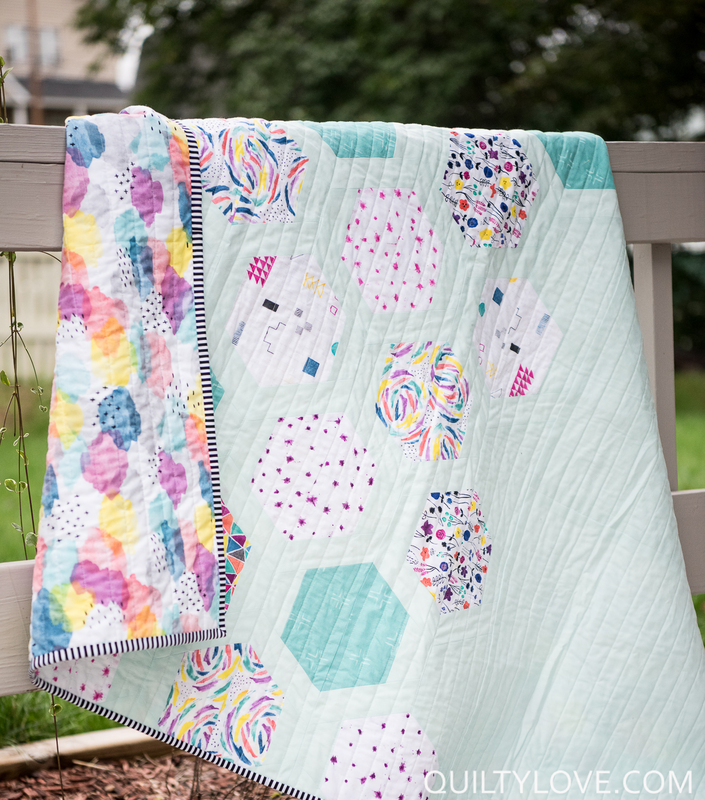 Holly of Bijou Lovely has become a very good friend of mine so when she came out with her first fabric line with Cloud 9 Fabrics I was so excited for her. 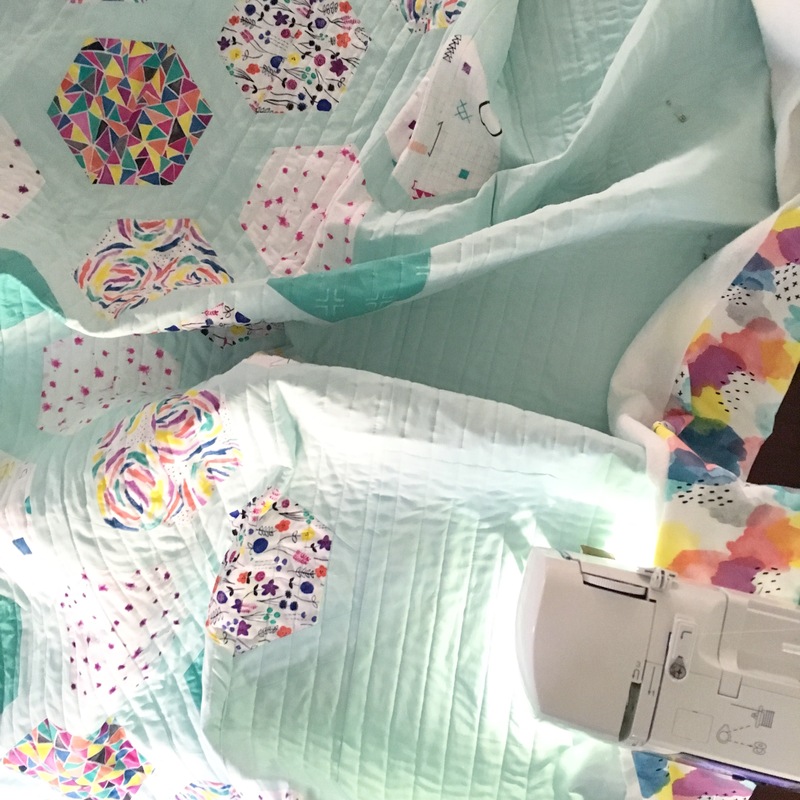 I’m convinced there is no limit to her creative talents so it’s no surprise that her Brush Strokes fabric line combines her painting talents with her sewing talents. 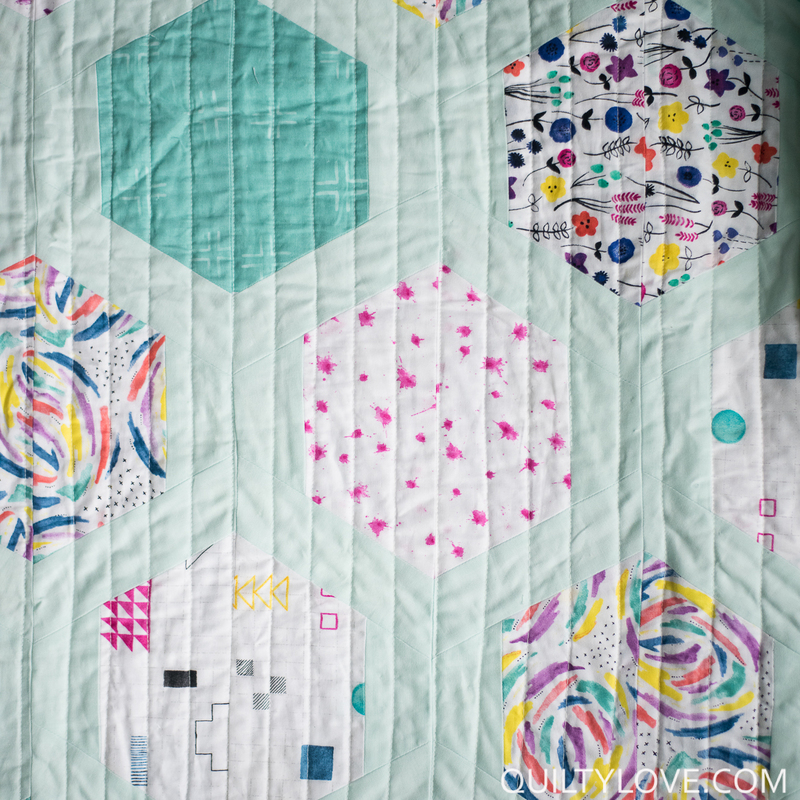 Most of her prints are watercolor paintings converted to a fabric medium using her signature color combos. 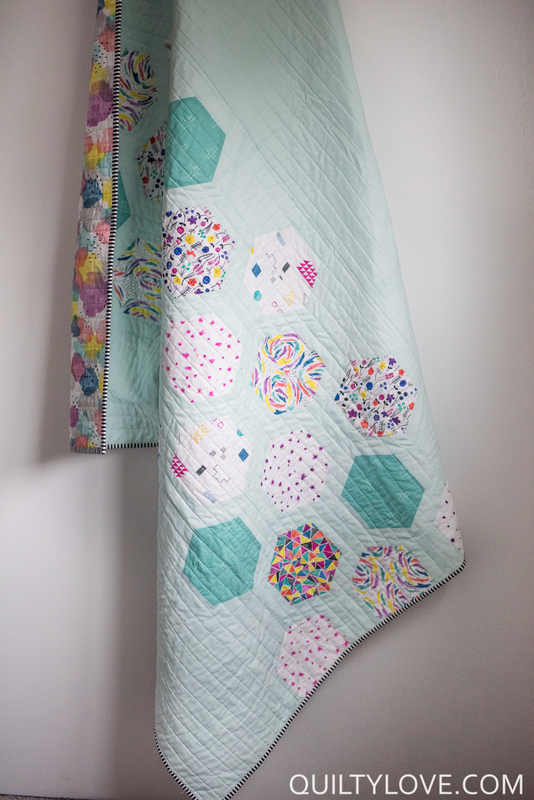 This was a fabric bundle I couldn’t resist cutting into immediately! 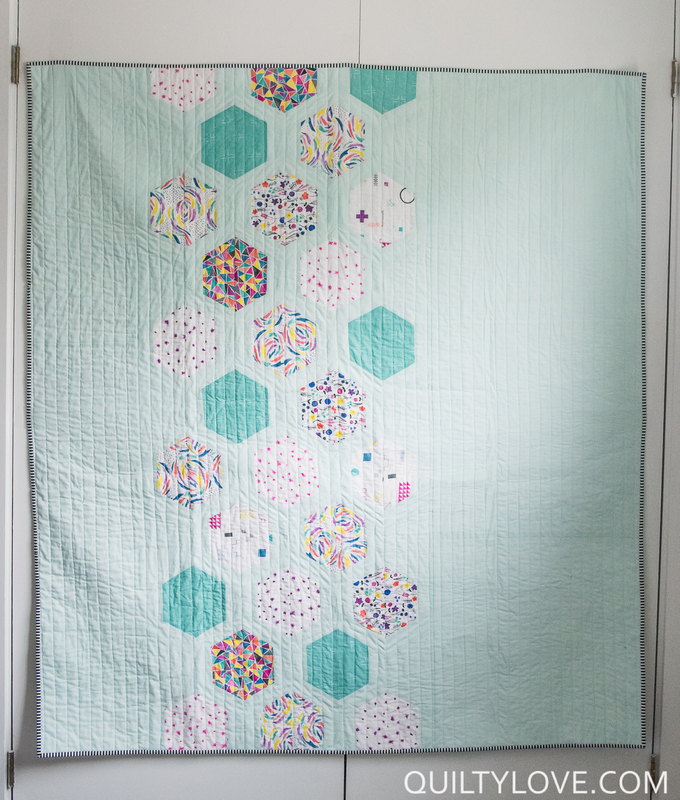 I went with a variation of my Hexie Framed pattern. 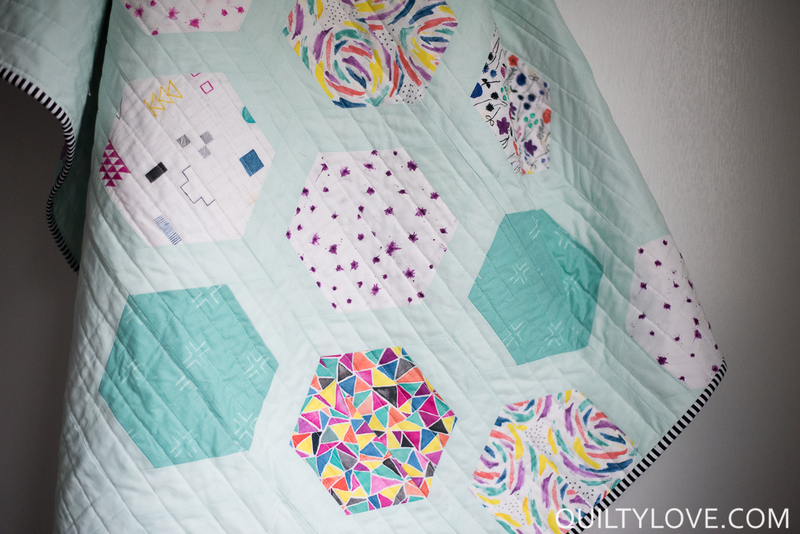 I made the hexagons a little larger and made fewer of them for this offset modern quilt design. This minimalist version has been added to the original pattern :) The inspiration for the background color came from my cutting mat! 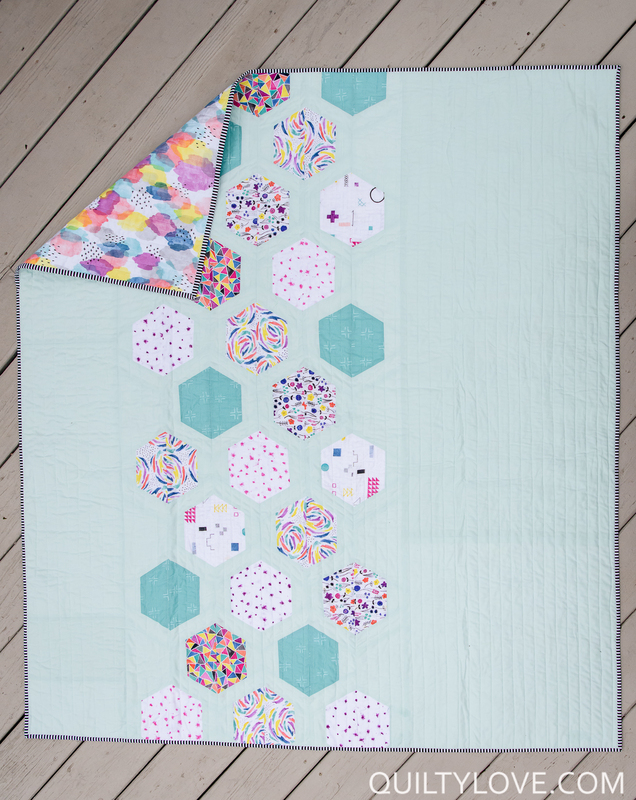 I had the hexagons laid out for an Instagram photo and loved how it looked against this color. 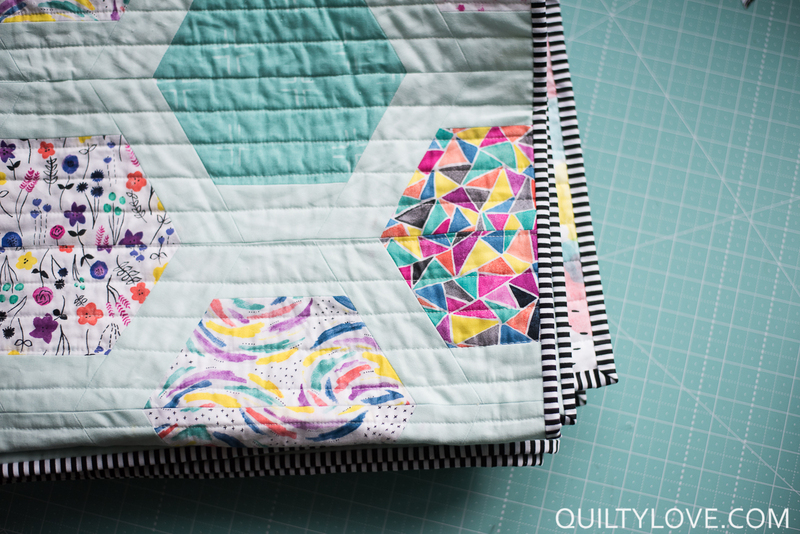 I went with 1 inch spaced straight line quilting to keep it fresh and modern. 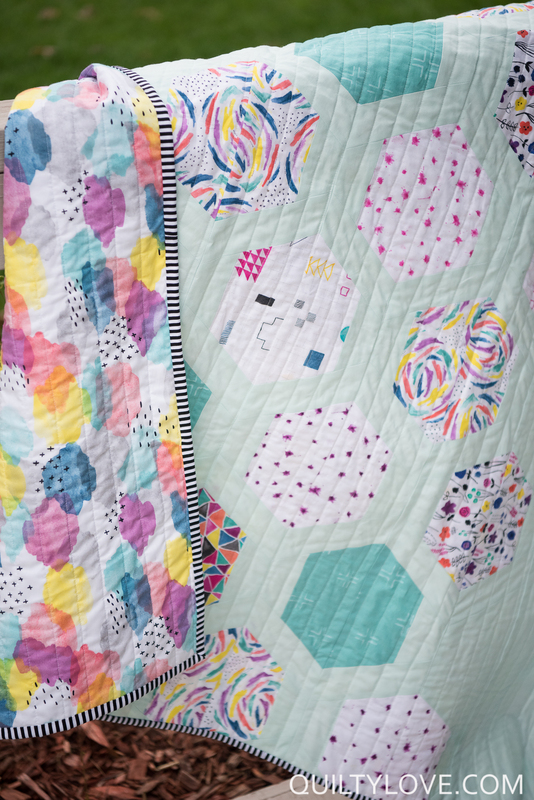 If you follow along on Instagram then you will know that I pin basted this, quilted a few lines and then decided it was a major baste fail. 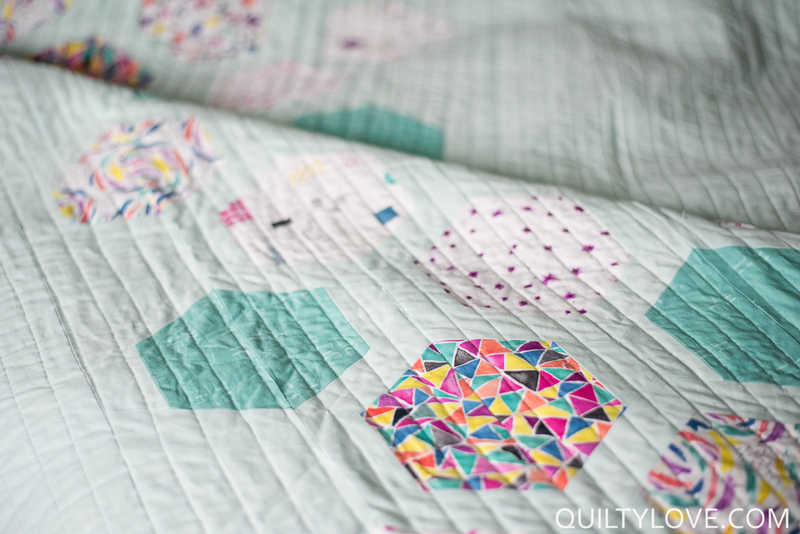 So I then re-basted, this time using spray baste (the norm for me) and then finished quilting. 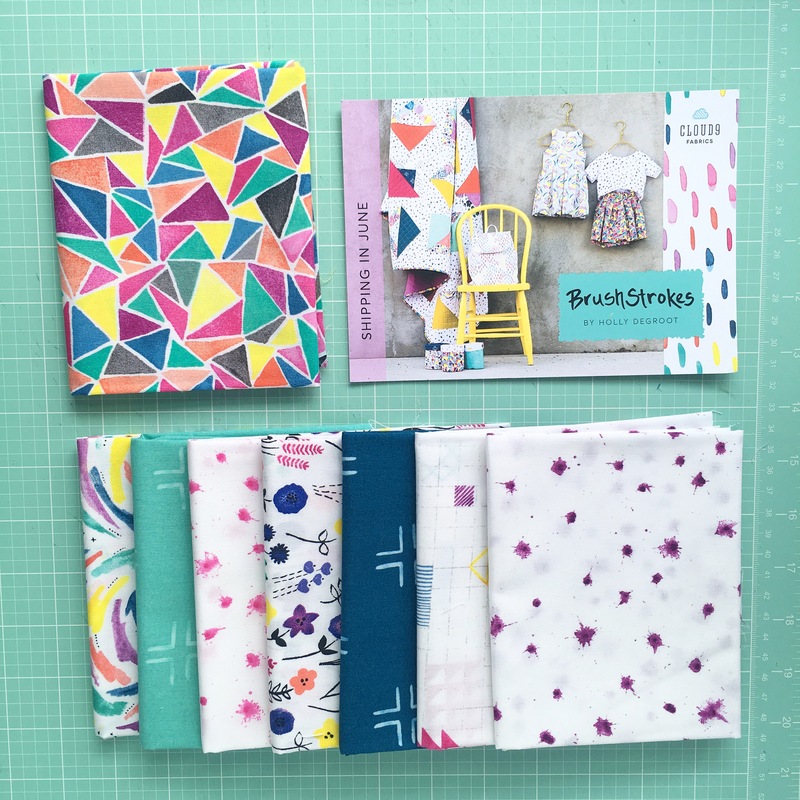 The backing fabric I chose is called Canvas from this Brushstrokes Fabric line and probably my favorite one! 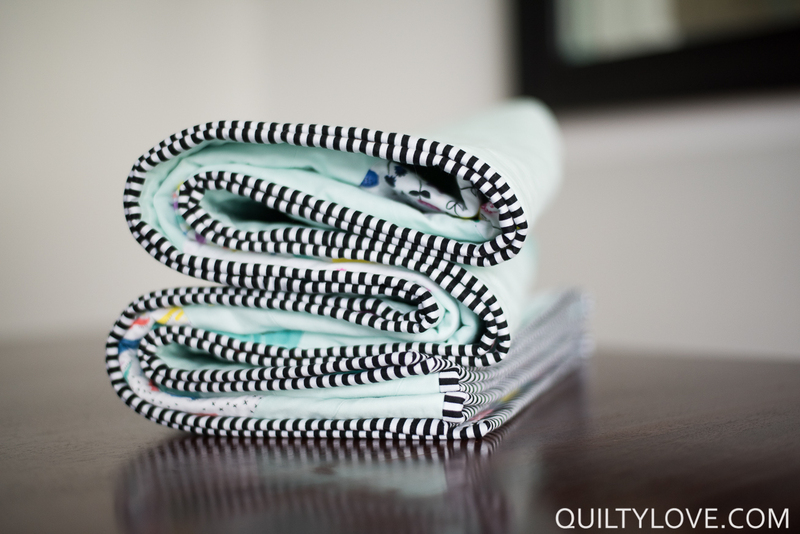 I finished this Brush strokes quilt off with a classic black and white striped binding. Holly uses a little bit of black through out her line and I thought this binding ties it all together. Plus I don’t think I’ll ever tire of this binding! 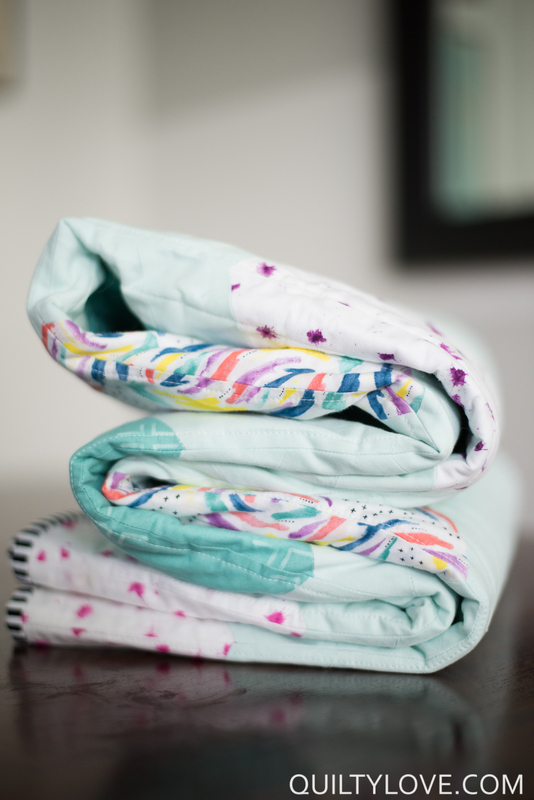 I use the striped fabric from Timeless Treasures. Perfect stripe spacing in my opinion! 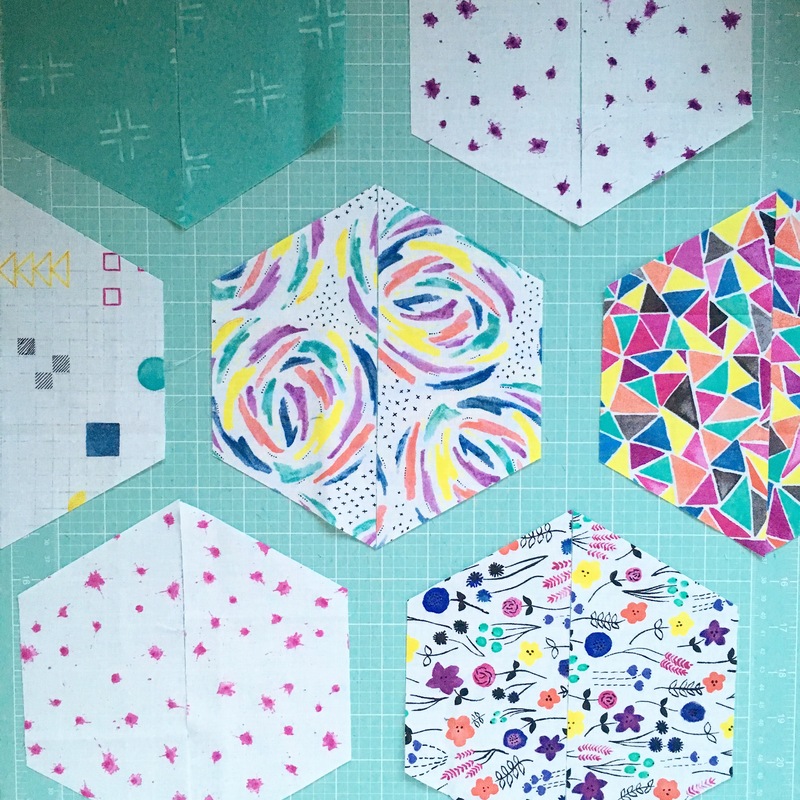 You can find my Hexie Framed pattern in my shop. Love it! 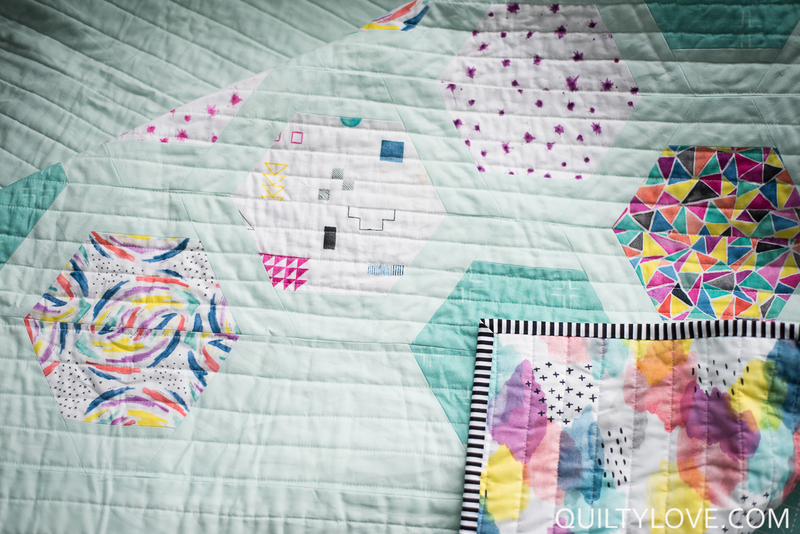 The pattern and colors are so beautiful. Thanks for sharing. Huh. I’m glad to hear that spray basting is still the best (not glad to hear that you had to baste twice ). Every now and then I wonder if I should give pins another try. Also, that background color is totally perfect. What is it?